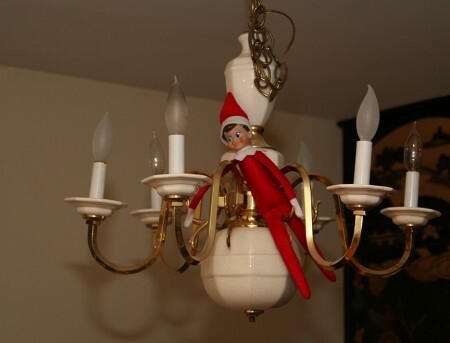 That is what Juliana calls our “Elf on the Shelf”, technically she named him Bello but she calls him Elfie or that silly little elf. 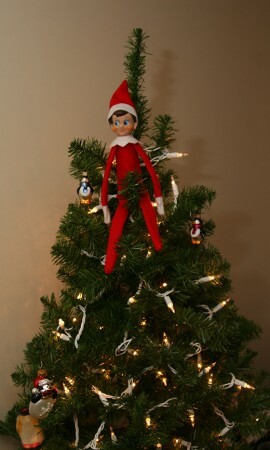 I have my own names for the elf (creepy!). 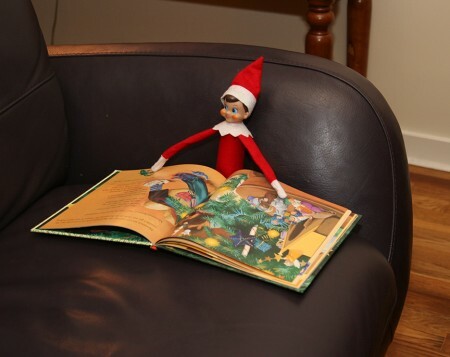 I bought the book and elf on a whim and expected Juliana to be sceptical of it. We sat down 2 weeks ago and read the book. She didn’t speak a single word the entire time. 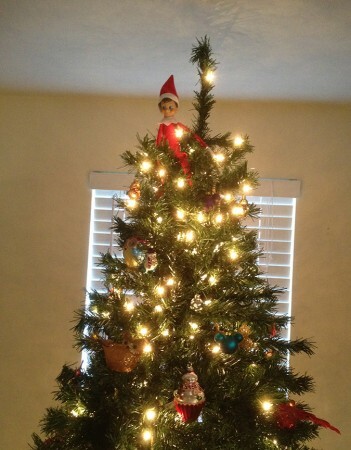 At the end she looked up at me, her eyes wide and asked is there was really an elf at our house. 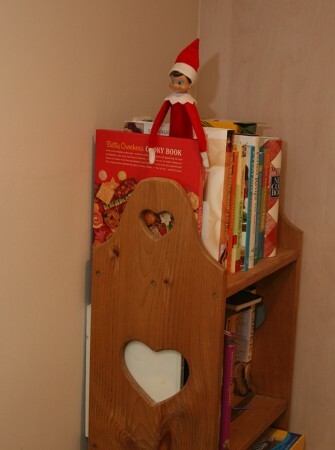 She thinks the elf is magical, I think it is magical that she hops out of bed each morning when I remind her that she has to find the elf before the bus comes. 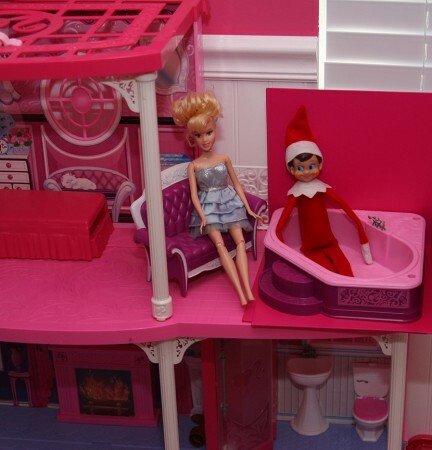 For the first few days, the elf was hanging out in obvious places and during the week it is best that she be able to find him quickly so she doesn’t miss the bus. She talks to the elf as soon as she comes home from school, she talks about her day and occasionally reminds him what she wants for Christmas. Bello spends the day sitting on the dining room buffet next to a small Christmas tree. 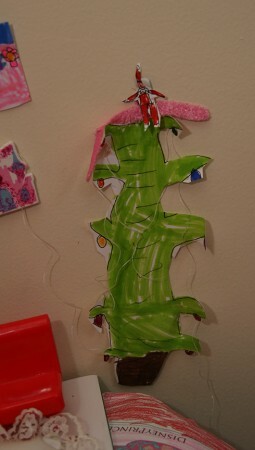 Juliana has filled his “home” with trinkets and pictures. 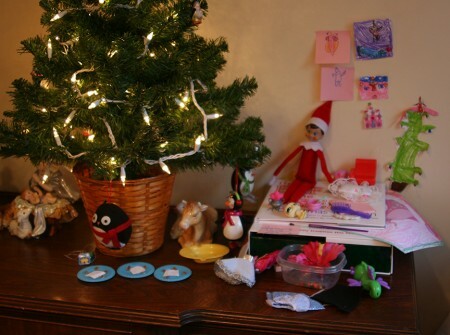 My favorite is the Christmas tree that she drew, colored and cut out and she even made an elf tree topper. 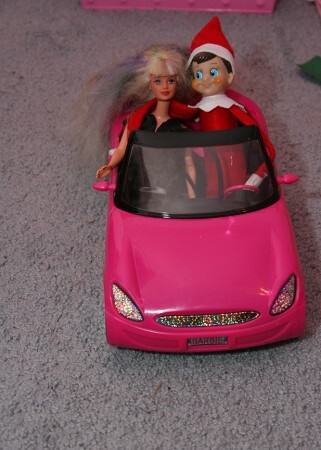 Twice the elf has been found spending quality time with Barbie – once out for a spin in the convertible and a second time in the hot tub. 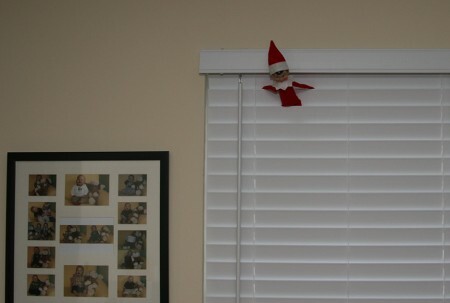 Every time Juliana finds him, she yells for me – “Look what the silly little elf is doing today!” So far he isn’t getting into too much trouble. Up to this point my favorite was this morning (see the last picture). 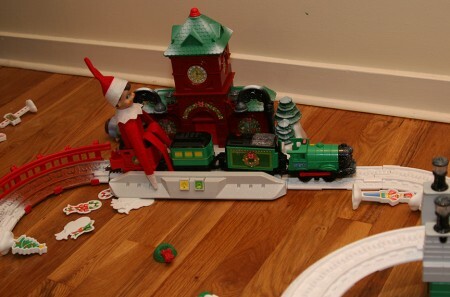 I am amazed that Juliana is enjoying this so much – it is adding another element to our holiday fun! 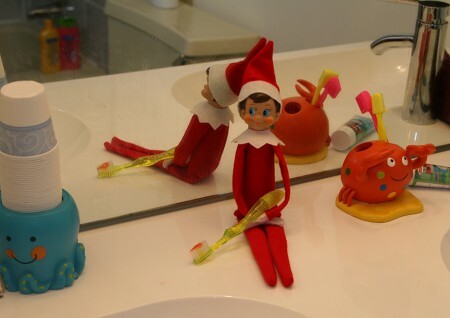 why do they manufacture that elf to look so friggin’ creepy? WHY??? I like the idea. 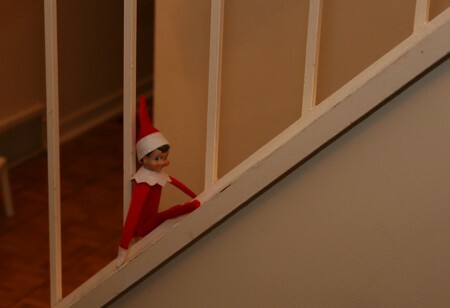 I’d GET one for the family if i wasn’t afraid to wake up in the morning to the elf standing over me with a butcher knife. LOVE that he helped spell her name! but yeah, CREEPY little dude kinda scares me a bit. i get the whole santa sees you like god sees you, i get the whole you have to believe and love and all that about santa. 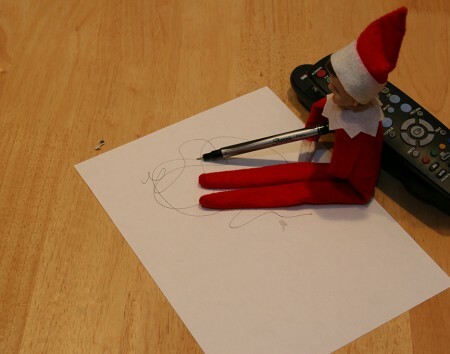 but the elf? not for me. good thing i don’t have kids, eh?